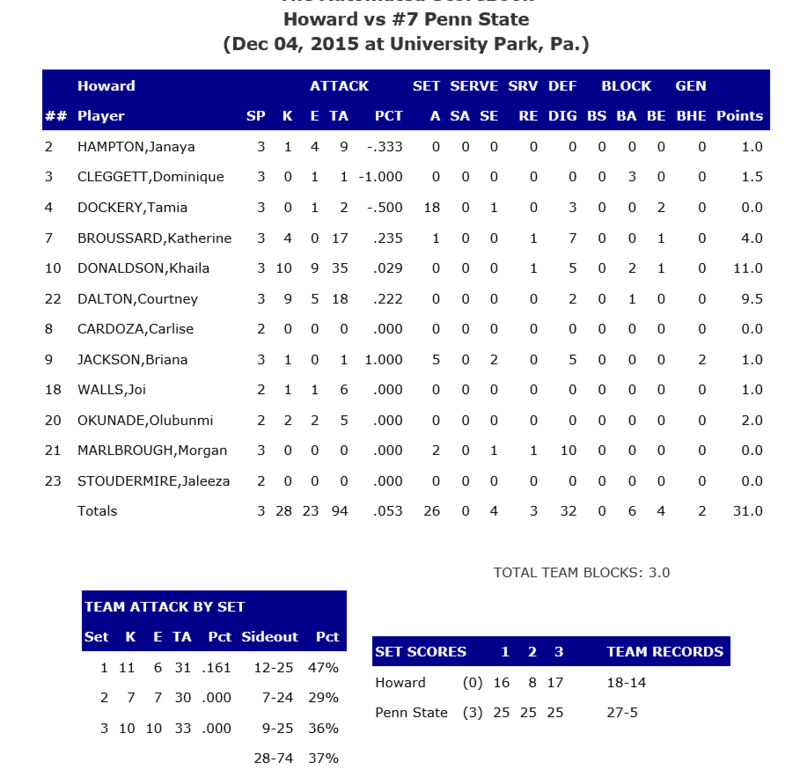 On a night when the unseeded Loyola Marymount Lions swept #6-seeded Stanford in a 2nd-round matchup, the 3-0 win (25-16, 25-8, 25-17) by #7-seed Penn State (27-5) over Howard (18-14) looks pretty good. 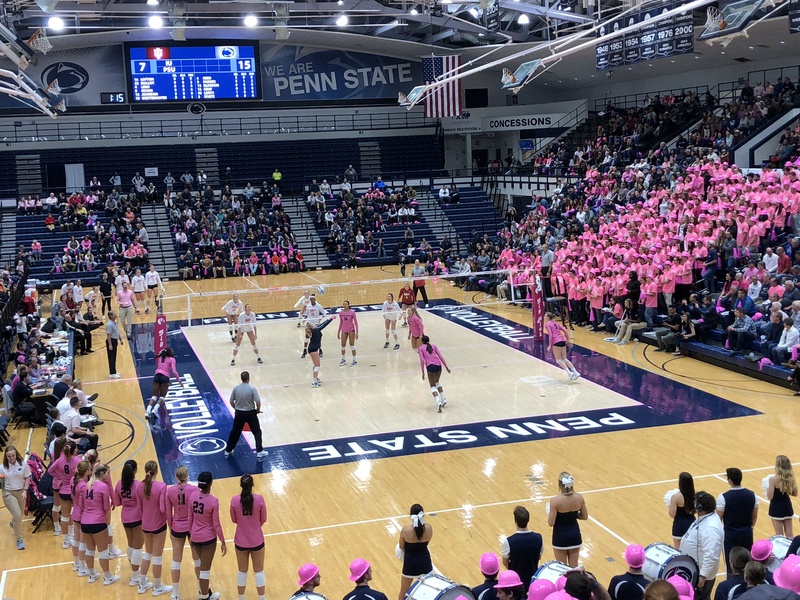 After the match, Penn State’s Head Coach Russ Rose said he saw some good things from Penn State and some not-so-good things. Oh, and he warned that if Penn State doesn’t play better tonight against its 2nd round opponent, the Dayton Flyers (27-5), the Nittany Lions season will end. I’d first like to congratulate Howard on the season they had qualifying for the NCAA Championships. I’d like to thank Penn State for putting in a bid to host it. I thought we played very well in some areas, and a couple areas I thought we were a little sloppy. Every match in the tournament has different challenges. I thought the three seniors [5-5 libero Kendall Pierce (7 digs), 6-4 MB/RS Aiyana Whitney (10 kills, .588 attack %), and 6-2 OH Megan Courtney (7 kills, 5 bocks, 10 digs)] did a nice job — certainly better than the last time we played [a 3-0 loss to Nebraska]. If there was an advantage that we had against Howard, it was that we have size, and by setting the ball higher, we had opportunity to hit the ball over the top [above their blocking point]. Howard does alot of things well. They’d won 13 matches in a row to get themselves to this position. I know how it is: before we were Penn State in the Big Ten we were Penn State in the Atlantic 10, and [people wouldn’t recognize that] it’s hard to win in the conference that you’re in, because everybody’s trying. It’s a nice win. It’s not our best performance, but you can’t worry about the things you don’t control. We played so poorly [against Nebraska], it’s nice to be better than the last time we played. We’ll have to be better tomorrow [against Dayton], and if we’re fortunate enough to advance, which I wouldn’t guarantee based on our performance tonight and based on our performance [against Nebraska.] The players will have to get a little more serious about certain things, because Dayton’s very good. Dayton has won 25 matches in a row — that’s the longest winning streak in the country. It doesn’t go unnoticed by me. . . . I think what Dayton does well is what they did well last year. [5-10 OH Alaina] Turner’s a really good hitter. The setter is cagey, and it’s a really good defensive team. [Turner] can really keep you honest by hitting the ball out of the front row and the back row. They don’t beat you with power, they beat you with speed. That’s something that can cause us some problems. I thought she hit really well — and that’s not a shock, I think she’s our best attacker, and has been our best attacker, and at times is one of the top attackers in the country. That’s a position we have to get a little better at. We’re trying to come up with the best balance. I thought Simone took one really good swing. I thought Heidi took one really good swing. But they both had a couple of net violations — we had 8 net violations [in last Saturday’s 3-0 loss to Nebraska] and 5 tonight. There’s no reason for net violations. We probably never had more than one or two for the last 10 matches, and now all of a sudden, they’re all over the nets. Everybody cares and everybody is trying. We’ll practice again tomorrow, and hopefully we’ll play a little bit better and we’ll get a little bit better production out of that position. The ideal sub . . . allows us to move Aiyana around. She can get more swings on the pin than she can on the middle if we’re not passing well. But I thought we passed pretty well tonight, except for that one little stretch in the third game. I think we knew watching film on them that they were going to be athletic, and they did get a couple good touches early in the game and then throughout the entire match. I think we picked up on it, but they’re athletic, so they get some good touches. It was a matter of not only hitting over top of them, but making sure that we got one-on-ones. We can take that into tomorrow against Dayton. Can we get one or no blockers — that’s what it’s about. I think Bryanna [Weiskircher] did a really good job with that tonight. At the end of the day, you respect your opponent. You’re ending someone’s season, if you . . . stick to the gameplan. Unfortunately, we didn’t stick to the gameplan as much as we wanted, but to be respectful, you’ve got to play as hard as you can. I think they went out with a bang — certainly the last couple of points they were fighting with one-armed digs. Could Dayton be Penn State’s Loyola Marymount? Not impossible — as Coach Rose made clear in his comments above. 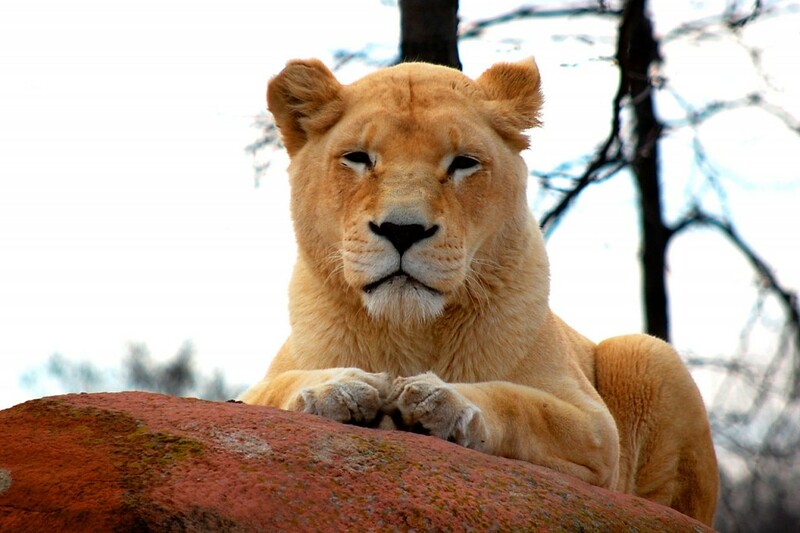 But we think the Nittany Lions will rise to the occasion (we are optimistic by nature). In any event, we’ll find out soon enough — 7:30 p.m. in Rec Hall. Come on down! 6-2 So. OH Ali Frantti was tops on the team against Howard with 12 kills (.400 attack %), with 2 digs and 2 blocks. 6-3 So. 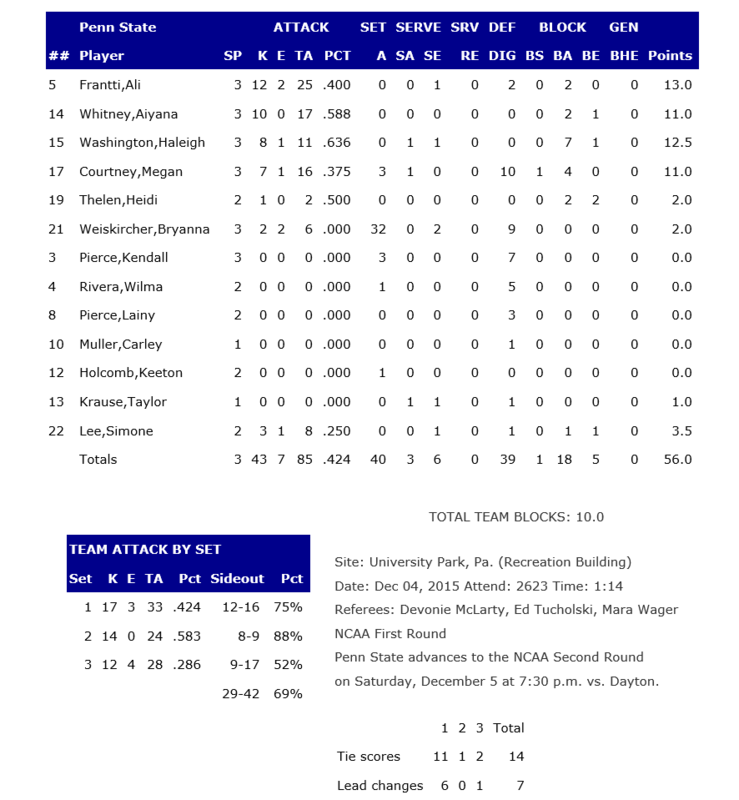 MB Haleigh Washington had 8 kills (.636 attack %) and 7 blocks. 6-0 RS Fr. setter Bryanna Weiskircher distributed 32 assists in leading the team to a .424 attack % (not too shabby), and chipped in with 9 digs.